Learn more about the community we are located in. 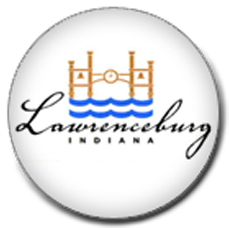 We believe that Lawrenceburg and all of the communities in Southeastern Indiana are some of the best kept secrets in Indiana! This area is home to thriving communities that still have a small town feel while at the same time providing excellent community services, education and activities. This area is home to such businesses as The Hollywood Casino, Aurora Casket, Proximo Distillers and Anchor Glass. This area provides all kinds of activities for individuals and families. There is a wide variety of community festivals and activities happening year round. Local parks, pools, skate parks, bike trails, ice skating rinks, ski slopes and the Ohio, Miami and Whitewater rivers provide lots of opportunities to enjoy the outdoors! Check out the following links to learn more about this area! Visit Southeast Indiana - A site full of great tourism information for the area. Perfect North Slopes - Local Ski Resort where USA Bronze medalist Nick Goepper learned to ski! Red's Baseball - We're only 30 minutes away from Cincinnati Red's baseball!